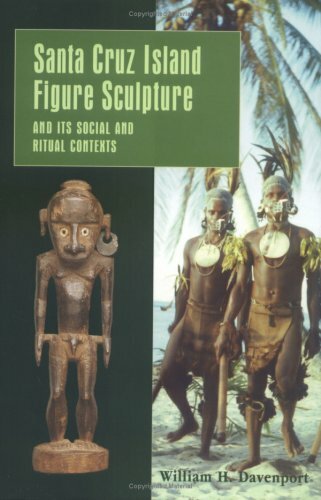 In this ethnographic study of traditional sculpture from Santa Cruz Island, near the Solomon Islands in the southwest Pacific the late anthropologist William H. Davenport presents a distinctive genre of figure sculpture produced for and used in traditional religious rituals and ceremonies. 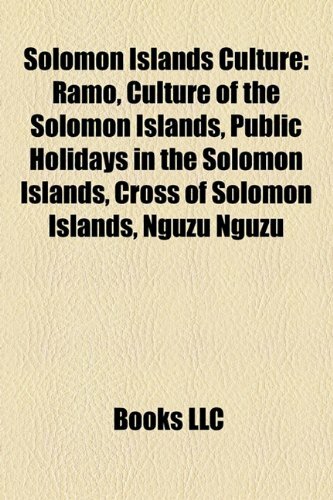 The body of the book discusses the history of Santa Cruz Island society since the first Europeans came to the area in 1595, the cultural meanings of its most conspicuous features, and descriptions of the main components of worship, the rituals. The book includes discoveries about the making and use of the figurines, as well as the iconography of the pieces. The latter information is derived from general ethnographic data collected in the course of field research between 1958 and 1976 on Santa Cruz Island and the adjacent islands of the Santa Cruz Group, where Davenport's many close friends included both his informants in the villages and officers of the British Colonial Service. A dual study of a tradition of so-called tribal art in its context and a study of Santa Cruz Island society, the book includes meticulous descriptions of the sacred objects, currency, dances, and social interactions. Davenport's records of 55 specimens of Santa Cruz sculpture from both private collections and museums—initial acquisition, subsequent ownership, and other detailed physical information—constitute the catalogue section of the book. An engaging and previously unrecorded transcription of information distilled from local informants of the oral myths, rituals, and ceremonies reveals how Santa Cruz believers distinguished, celebrated, and communicated with their deities. Davenport's own unique photographs—both black and white and color—illustrate rituals on the island and life as it was lived before independence in 1978. His work here is a record of a culture which is barely now either lived or remembered by the descendants of those who created it, and all figural sculpture discovered in the future must be judged against this corpus of authenticated originals. Audiences will include anthropologists interested in the tribal arts of Pacific peoples, libraries with Melanesian collections, art historians, contemporary historians interested in the difference between description and comparison, and the special political and economic situation of colonialism. Any survivals of the great tradition are exceptionally valuable. Thus Anuta, a Polynesian "outlier" island in the mostly Melanesian eastern Solomons archipelago, comes to the fore. Anuta is not part of the great voyaging tradition -- not for 10 or more generations anyway-- but its insignificance helped preserve its traditions. Richard Feinberg, an anthropologist at Kent State University, did his dissertation research on Anuta in 1972. In those days, before Hokulea and the PVS, the unimpressive Anutan fleet did not seem to merit special attention. But Feinberg liked boats and kept good notes. 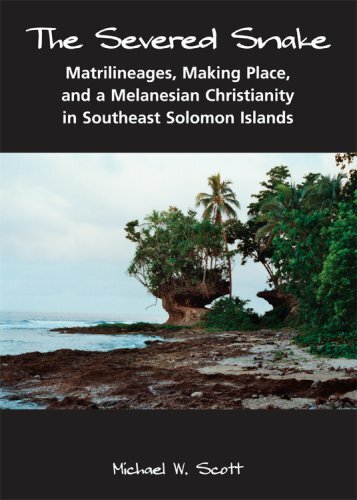 In the late '80s he returned to Guadalcanal (the easiest place to find Anutans) and improved his knowledge, so that in "Polynesian Seafaring and Navigation" we have a rare comprehensive report of prehistoric techniques based on both foreign observation and explanations from living experts. Even Anuta, which is roughly 500 miles from anywhere, was changing rapidly by the late '80s. "The exceptional skill and knowledge (of the best living Anutan navigators) may never be recaptured in the coming generations," wrote Feinberg then. Depending upon whether you consider a glass to be half full or half empty, this book will seem depressing or heartening. Anutan canoes are not large, they make only short voyages and few of those. On the other hand, their techniques are a smaller, if not quite exact, replica of those used by the great interisland voyagers; their craftsmanship is very fine, and their memories are long. Anuta is a tiny island, only half a mile across, and one reason Anutans don't make great voyages is that they don't produce many first-rate navigators. It may be true that on the steppes every boy becomes an expert horseman, but a canoe made from a hollowed-out tree is a much more demanding steed. Every Anutan man is a good boatman, but it appears that a really self-confident Anutan navigator comes along less than once in a generation. Oil may be under the sea around Anuta, and if it is, Feinberg believes, Anutan society in its authentic form is doomed. Already the islanders have switched from sennit to monofilament fishing line to lash their canoes. Still, their attitude remains steadfastly Polynesian, Anutan and premodern. : When a canoe is destroyed, it gets a human funeral.